Text & Graphics Copyright © David A. Johnson, PE - ALL Rights Reserved. LINKING to Dave's circuits is permitted but DO NOT COPY to ANY WEB SITE server! 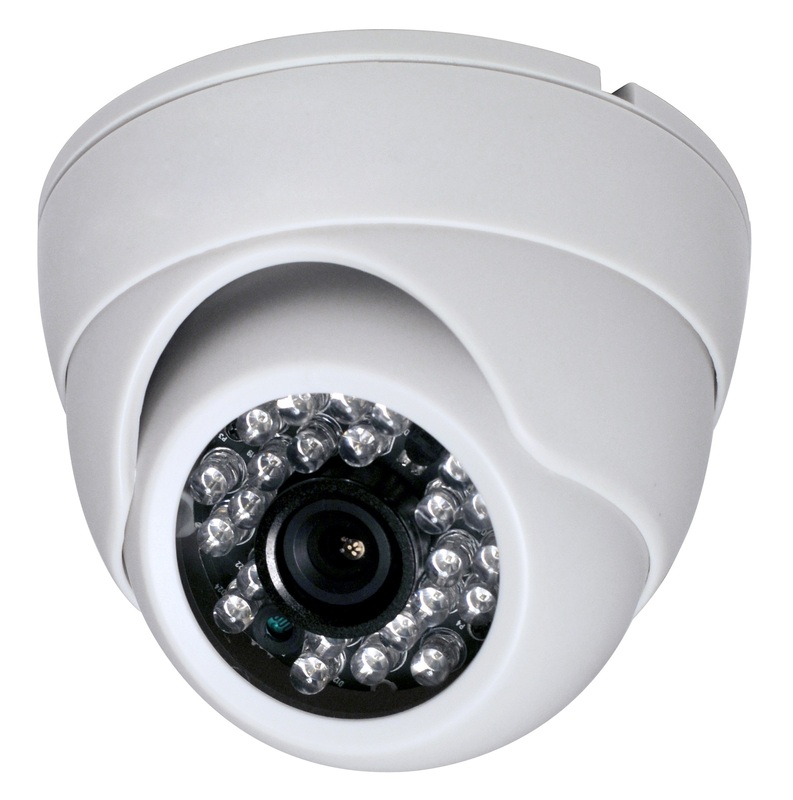 area, well away from the camera, needs additional infrared light. a fairly large area with 850nm infrared light. 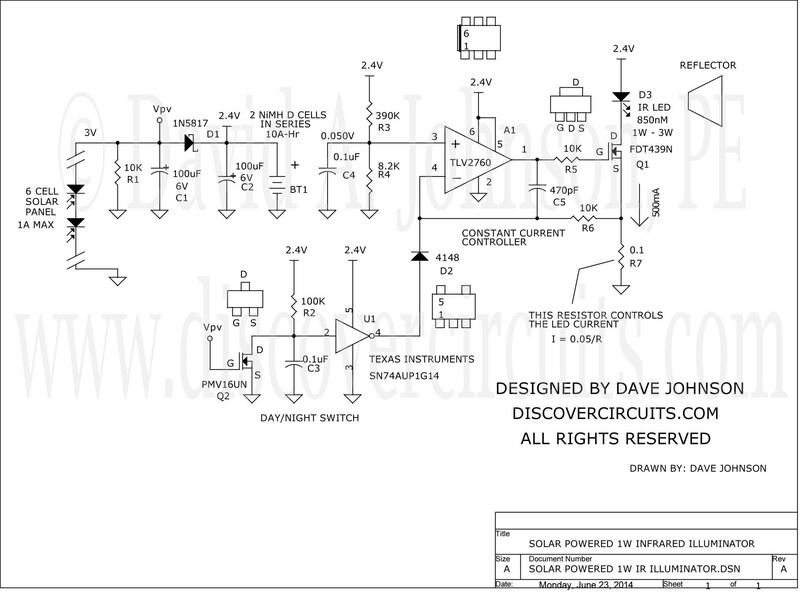 The circuit uses two 3v 500ma solar panels wired in parallel to form a 3 watt solar panel producing 1 amp of battery charging current. 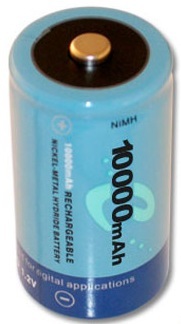 The 3v from the panel charges two D size 10 amp-hour NiMH cells wired in series. 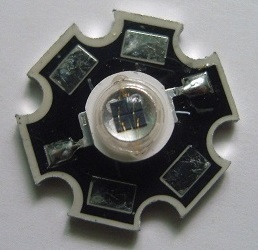 The 2.4v from the battery is used to power a single high power 850nm infrared LED with 500ma of current. The LED’s forward voltage at 500ma is low enough to allow such a low operating supply voltage. A constant current 500ma drive circuit insures a consistent output level. 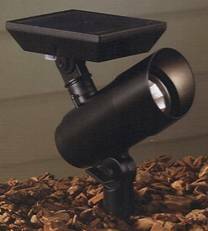 The LED is turned off during the daylight hours by monitoring the voltage from the solar panel.